The UNWTO awards are recognized as one of the world’s most coveted awards in the global tourism sector. The 13th edition of this award saw 139 applications from 55 countries. 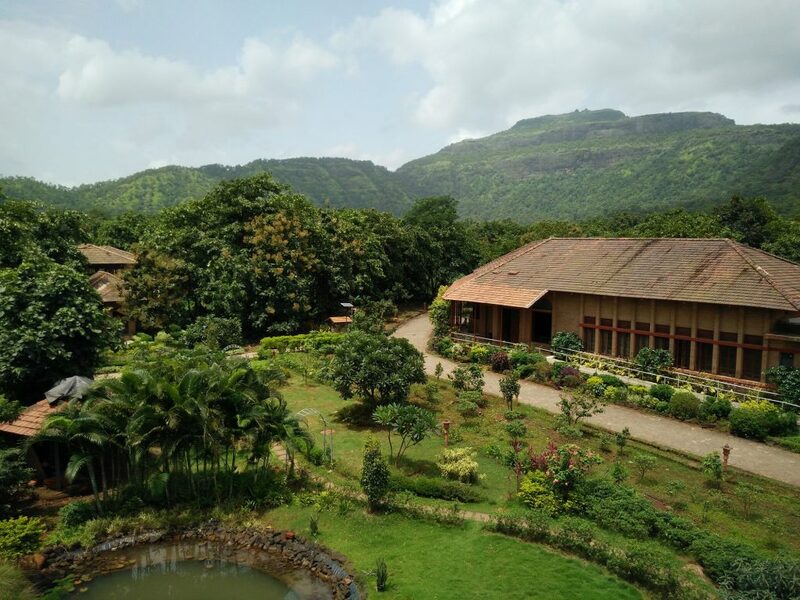 Govardhan Eco Village, spread over 70 acres in Wada near Mumbai is the first Indian NGO to win a UNWTO Award. 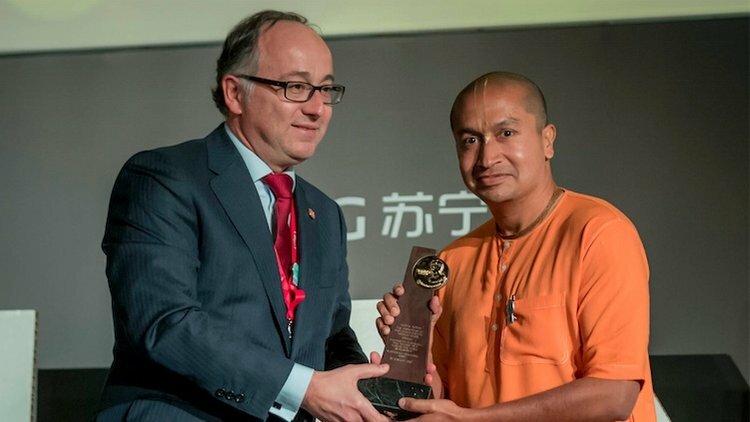 It was recognized for its ground-breaking work in using eco-tourism to reduce poverty and provide sustainable livelihoods in one of the most backward tribal regions of India. 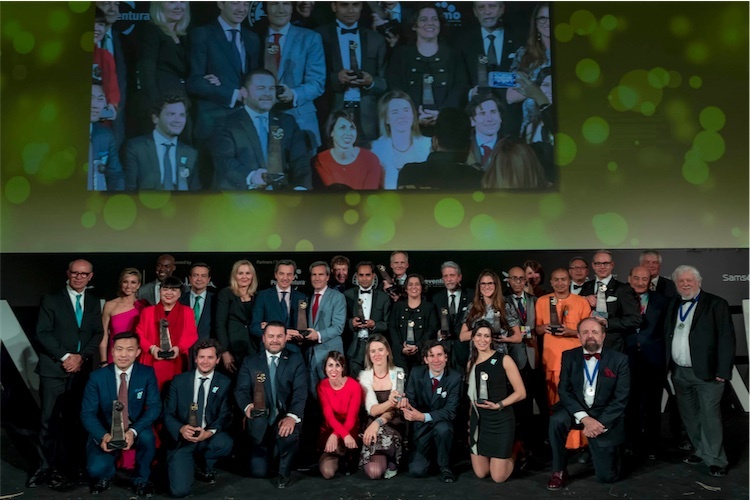 “The UNWTO Awards reflect the efforts done worldwide by the tourism community to foster innovation and the need of the sector to advance towards a more sustainable and responsible future,” said Taleb Rifai, UNWTO Secretary-General. He confirmed that this year’s award had a special meaning as the UN was celebrating 2017 as the ‘International Year of Sustainable Tourism for Development’. He expressed his gratitude to His Divine Grace Srila Prabhupada, Founder of ISKCON, Radhanath Swami, Founder of Govardhan Eco Village and to the entire community of ISKCON. “We hope to utilise this honour to spread the message of peace, harmony and sustainability to benefit those who are the most deprived and need our help the most,” he added. Govardhan Eco Village has earlier won several international and national Awards including the International Green World Award in South Korea, International Zero Waste Award in UK, International Built Environment Award in UK, Aqua Excellence Award for Sustainability initiatives in Social Sector, Skoch Renaissance and Platinum Award for Water Conservation. The UNWTO has 157 countries as its member-states besides 6 associate members and over 500 affiliate members who represent the private sector, educational institutions, tourism associations and local tourism authorities.